Oyster Watch offers you a quiet, romantic, almost rural holiday, yet only 3 klms from Russell township. The apartment overlooks the beautiful Orongo Bay, home of the famous Orongo Bay Oysters which can be purchased from almost from your doorstep. 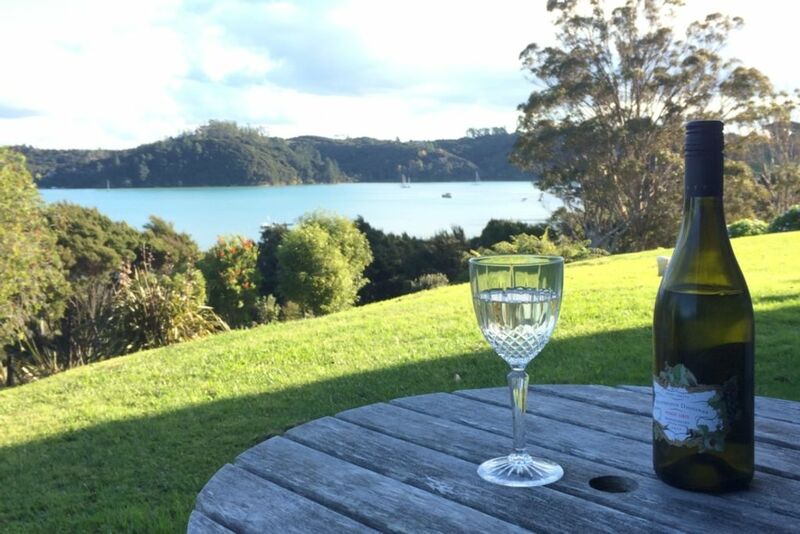 It is situated just 4 klms from the Opua Ferry on the main road into Russell. Outstanding views from Orongo Bay to the Te Wahapu Peninsula with lovely farming and hillside views to the rear. At Oyster Watch you are so close to all the amenities the Bay of Islands has to offer. Russell itself offers many quaint restaurants and historical places to visit, or take the Cream Trip, watch the dolphins from Fullers Dolphin Watch boats. Take a lazy boat ride over to Paihia and enjoy the shops or explore the beautiful surrounding beaches of Russell. Long Beach and Tapeka are only 5kms from Oyster Watch. Waitangi, Kerikeri, Haruru Falls, are all an easy drive away. So come on up and enjoy New Zealands own piece of Paradise - You will not be disappointed. Oyster Watch is fully self-contained. We can pack you a picnic basket, or have your holiday apartment filled with all your favorite food and beverages when you arrive. Just let us know your requirements upon booking. Smoking allowed outside unit only. Apartment to be left as it is found...clean and tidy and ready for the next guests with only the bed left to make and the washing bundled up. OR: Guests may choose to pay $50 up front for the entire stay and we will have the apartment cleaned. We will ask you when you arrive. Only 3 klms to the cafes, museums, beaches and all Fullers sight-seeing tours. Only 5 kilometers and you are at Long Beach a beautiful ocean beach overlooking the Bay of Islands. Russell village is a quaint little seaside village and is 2 kilometers away from Oysterwatch. With it's specialty shops and cafes it is the perfect town for a leisurely stroll on the waterfront. Oysterwatch overlooks the beautiful Orongo Bay unobstructed. Whilst it is not a swimming beach the oysters growing are fascinating to watch. Highly recommended.Nice and clean. They have everything you need in the house. Just minutes away from Paihia waterfront and town center. We had a great time. Jenny's place offers great value for money. The place is clean, modern, cozy, in a beautiful location, and offers all the space and amenities that two persons might need for a few days. The lovely hosts live next door, yet offer a maximum of privacy. Highly recommended! We stayed at Oyster Watch for five nights and would have stayed longer but we had to leave for Canada. Jenny and Ray were warm, welcoming and gracious hosts, there for us when we needed them, but respectful of our privacy as well. The apartment is fully and beautifully equipped and we especially enjoyed sitting outside in the evening and watching the sunset from the little patio. Russell is a charming seaside town, with good shopping and restaurants. We recommend this property very, very highly! Beautiful spot. Watching the tide come in and out over the oyster beds was special as was eating the local oysters. Jenny and Ray were friendly and the bach was really well equipped. I hope we get a chance to visit here again. Great weekend staying here,apartment is beautifully decorated ,very stylish with everything you need. Jenny and Ray were great when we arrived and so hospitable. We will definitely recommend this apartment to our friends in Auckland and overseas.